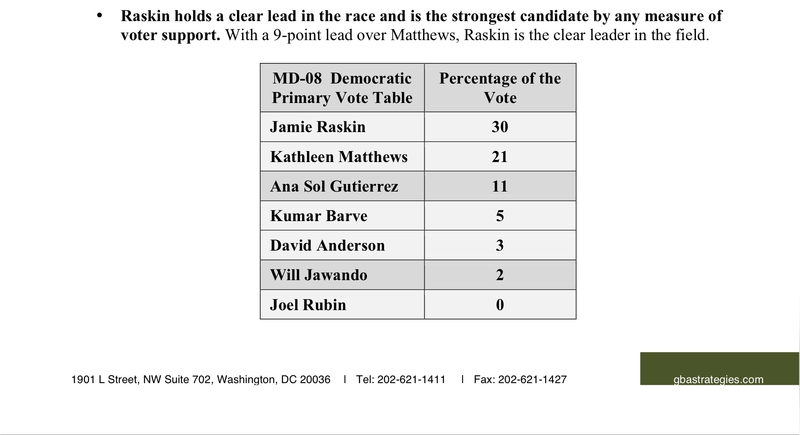 We now have our first poll numbers from the CD8 race, courtesy of the Raskin campaign. 28% of voters are undecided. Not all that surprised by the Raskin/Matthews numbers. Very surprised by the Sol Gutierrez/Barve/Jawando numbers. Hers are better than expected, while Barve and Jawando are not as good. Would be interesting to know if any other candidates have their own internal numbers and how they compare. 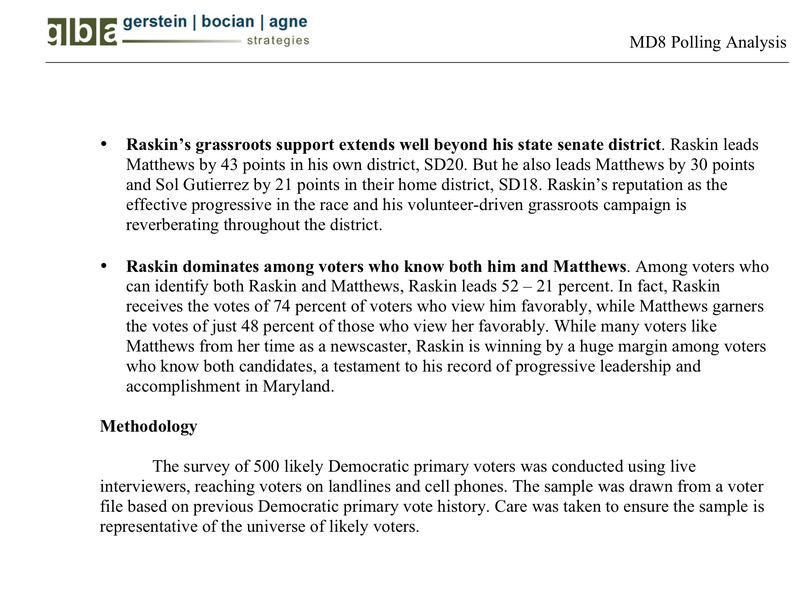 Here’s the Raskin poll memo. As with any poll, I’d like to see the full cross-tabs and the questions asked. And I’d also like to see full geographic results, as well as name recognition and favorability numbers. And as always, results from internal campaign polls are likely to be more favorable than an outside poll for a media organization. 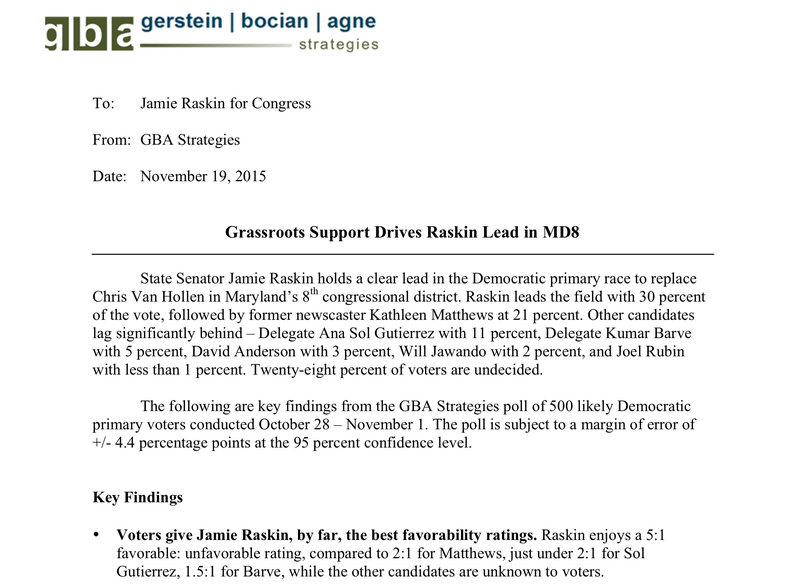 But we now have a baseline against which to compare future polls, and Raskin leads. If I get more details, I’ll post them.